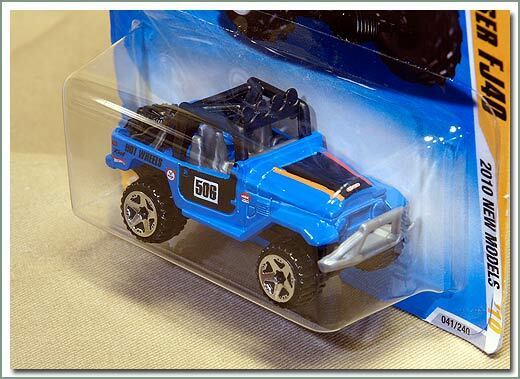 1/67 inch scale model - Blue - limited quantities available. 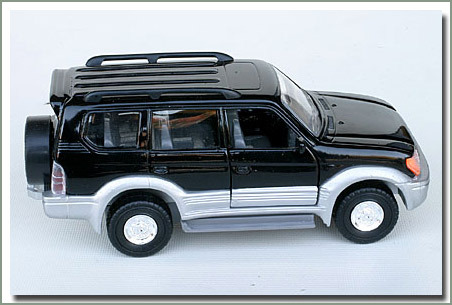 1/67 inch scale model. 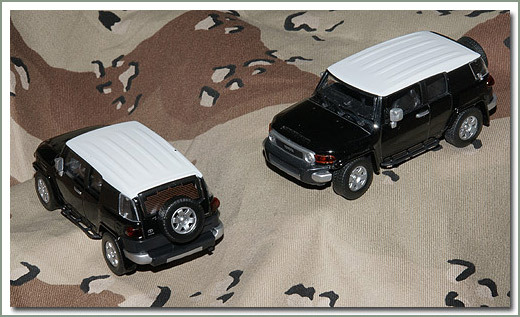 Gray - Limited quantities available. 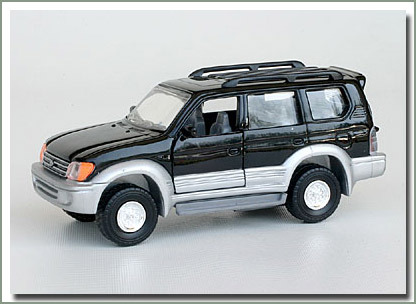 1/67th inch scale model. 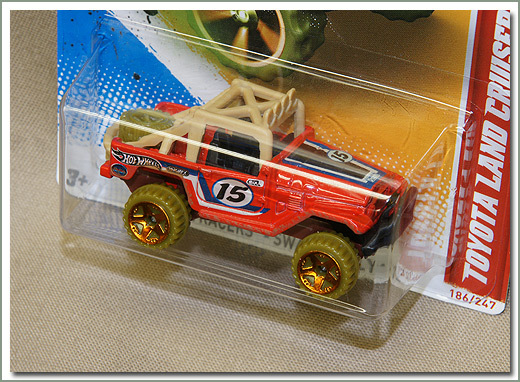 Red - Limited quantities - new for 2012 Hot Wheel collectors. 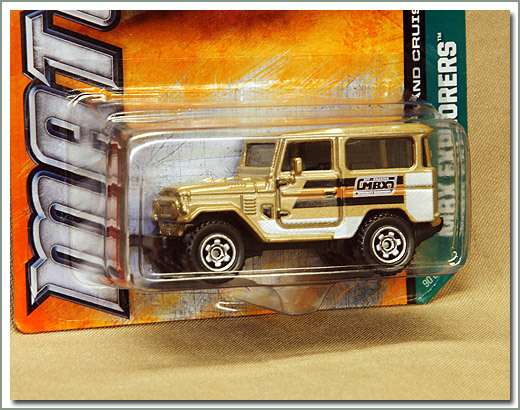 Nicely detailed die cast FJ Cruiser model. Available in Black, Blue and Light Silver/Gray. 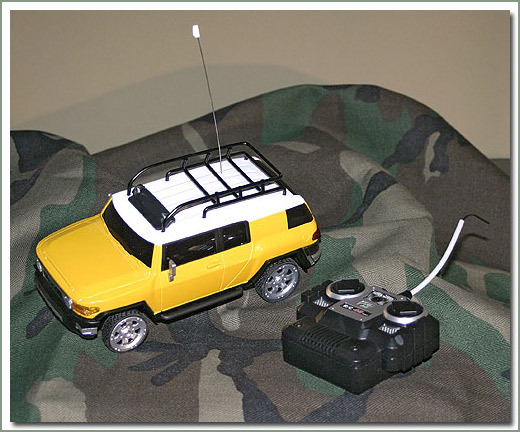 Marv action figure with real working walkie-talkie, machete, and bolt cutter, for display purposes only. 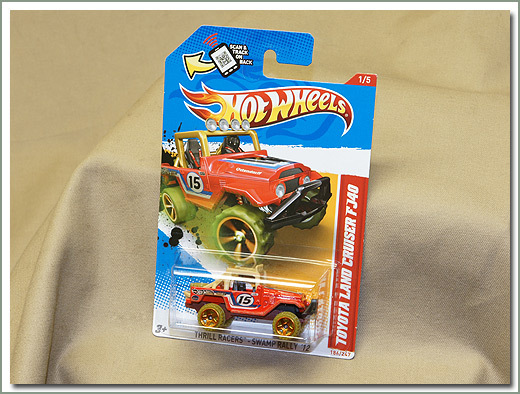 1/43 scale die cast toy. It's cool! Makes a great gift. 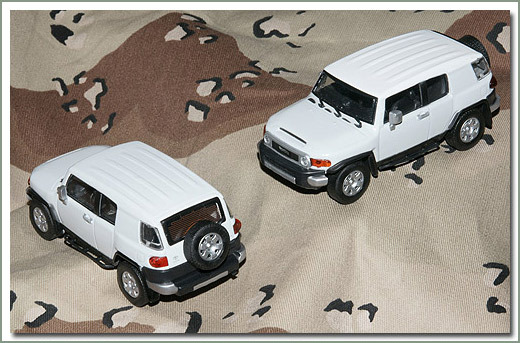 New Prado Land Cruiser metal Die Cast Model is 1:35 scale. Front doors open up, also has wind up forward propulsion. Makes a great gift! 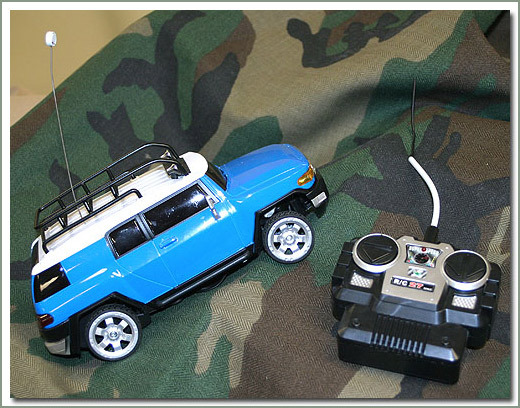 FJ Cruiser Remote Control Toy. How cool is this? 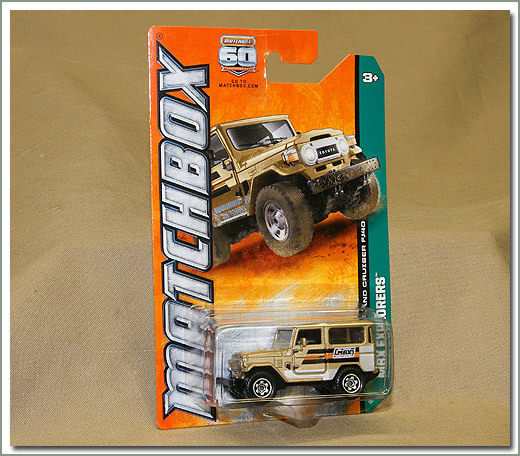 Scaled 1/24, fun FJ Cruiser with remote control comes packaged in a window box. 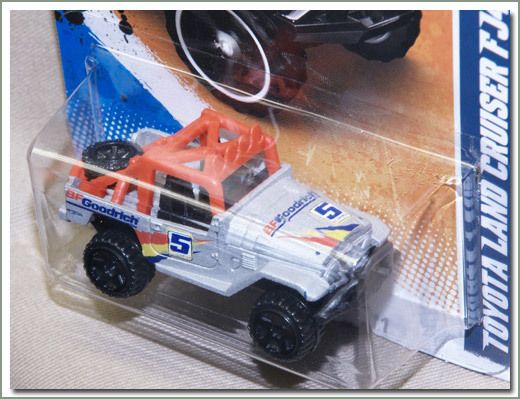 Requires 9-volt battery (included) and 4 AA batteries (not included). 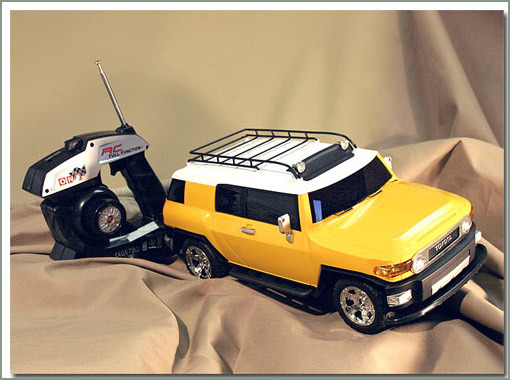 FJ Cruiser Remote Control Toy. How cool is this? 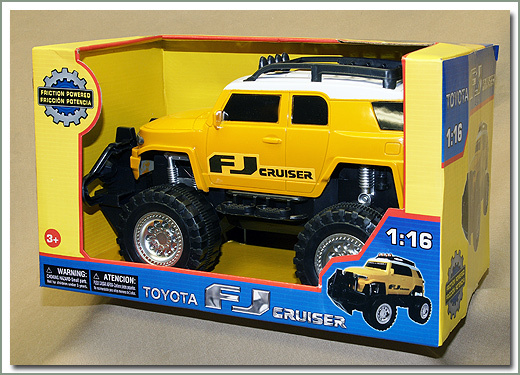 Scaled 1/10, fun FJ Cruiser with remote control comes packaged in a window box. Have some fun with this one! 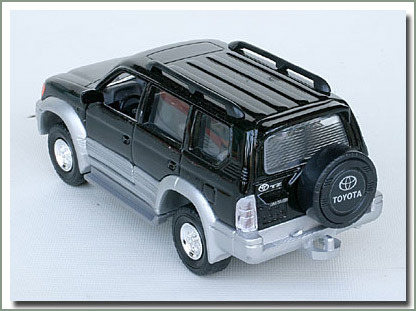 Stock style vehicle features 9.6 volt rechargable power pack and battery charger. Fully directional, with variable speed control. 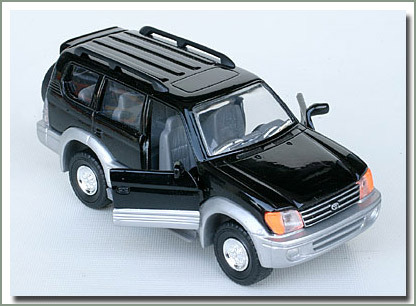 Working headlamps, each wheel has shock absorbers, and a spare tire. Sorry no color choices available. 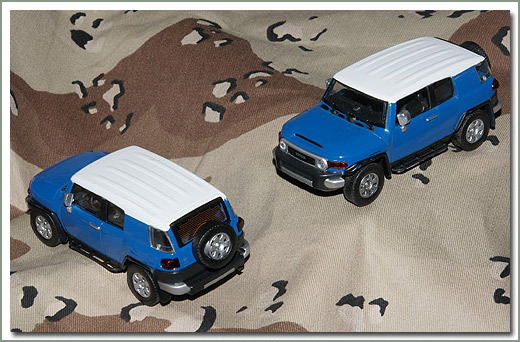 Another model to add to your FJ Cruiser collection! 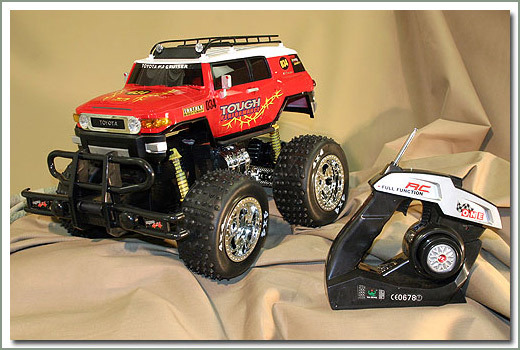 Check out this monster FJ Cruiser! 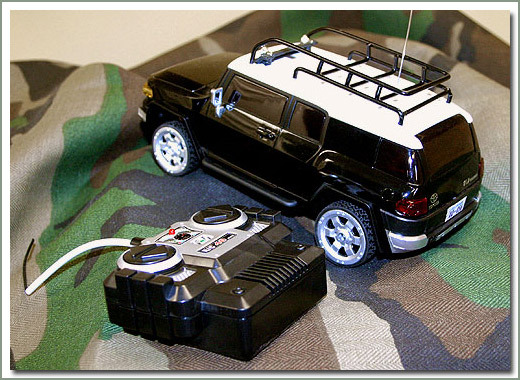 Features 9.6 volt rechargable power pack and battery charger. Fully directional, with variable speed control. 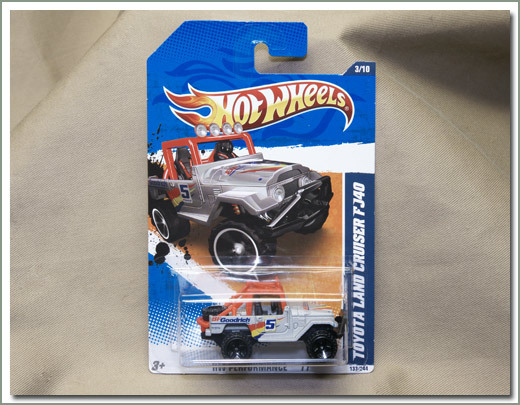 Working headlamps, each wheel has shock absorbers, rims have actual working spinners, and a spare tire. Sorry no color choices available.